UseNext Review 2016 | Fast, stable and anonymous – Usenet Access! 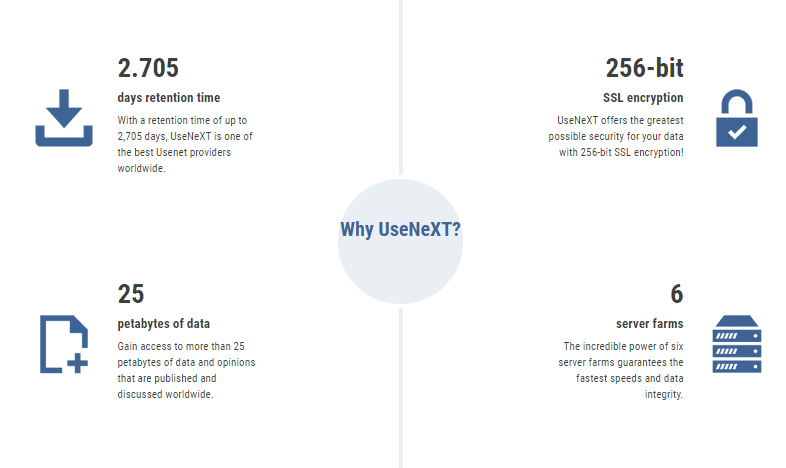 UseNeXT, is a German-based Usenet Service provider that has been providing Usenet access for over 9 years. UseNeXT is unique from other providers in that it provides it’s UseNext client to subscribers which makes accessing Usenet Newsgroups easier. UseNext delivers astounding performance which is due to their six server farm available. 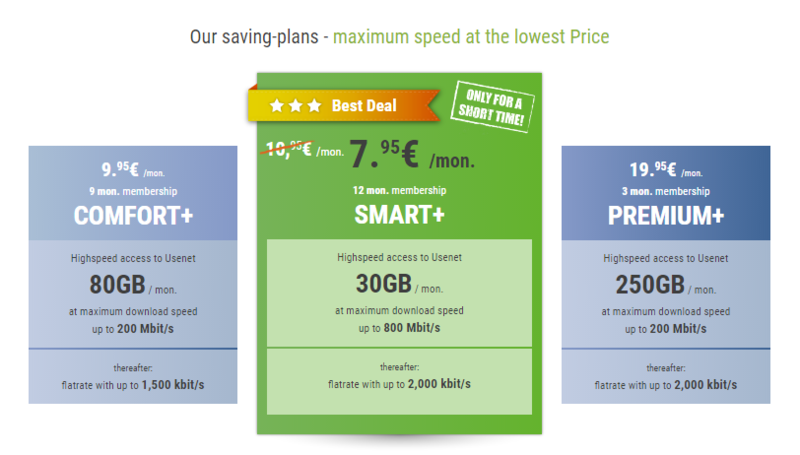 UseNeXT offers three plans, starting at €7.95 (approx. US$8.82) for 30GB of data per month, going to €9.95 (approx. 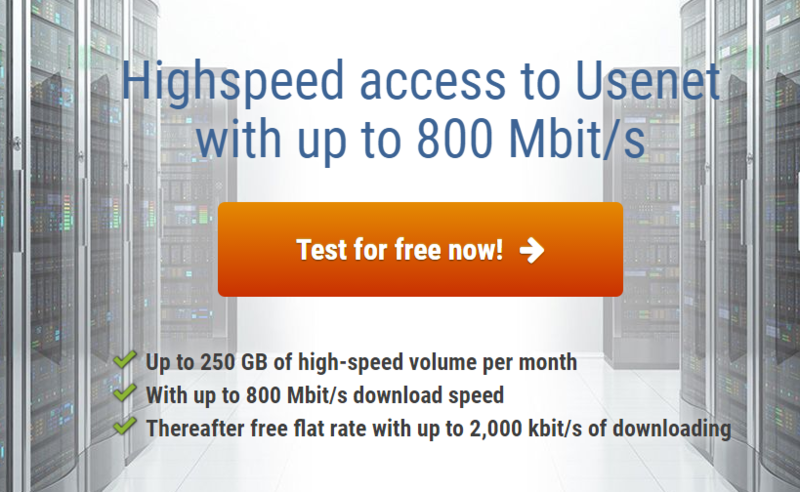 US$11.03) for 80GB per month, and €19.95 (approx. US$22.12) for 250GB per month, with discounts for bulk purchases. * All calls will be charged at flat rate costs of standard calls to Munich, Germany. Consumers can take advantage of the 14-day free trial of UseNeXT.de and three payment plans are available to suit specific needs. These are: Smart Plan, giving full access to Usenet with 30GB data transmission at full bandwidth which is followed by access up to 1,000 kbit/s; Comfort Plan, giving 80GB and 1,500 kbit/s; and Premium Plan giving 250GB and 2,000 kbit/s. Members needing higher volume levels can bring forward allowances from the following month, when essential and this can be flagged within the members’ area. Memberships can be taken out monthly, with annual subscriptions available on Smart Plan only, for up to 12 months. Free, prize-winning software is also included with the UseNeXT.de subscription which gives access to the Usenet servers with lots of options including a comfortable search and search filters. Choose among our top Usenet providers . unlimited high speed download speeds for about $10/month and they accept a variety of payment options – paypal, ideal, visa, mastercard etc. If you are technical or with a bit of training (signup for our newsletter / training series on the homepage) you could get more bang for your buck by our by choosing among our top recommended Usenet providers .